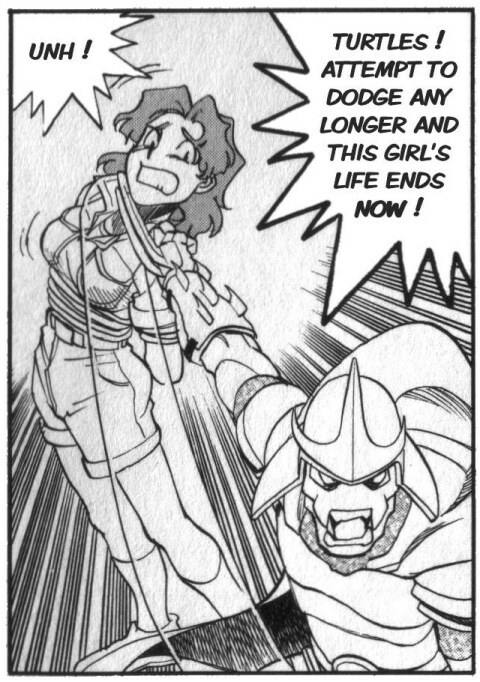 In this chapter, Shredder kidnaps April (what a shocker!) and enacts his master plan, while his mask reminds me of Brak. Chapter 4 and a nice volume release should probably come out by this time next week. Great job! I appreciate the preservation of Mark’s translator notes! Also, that little joke you guys threw in on the last page was pretty funny!